This weekend Ryan, Lyssa and I road tripped up to the Bay of Islands which is located on Northland, the northern most part of New Zealand. 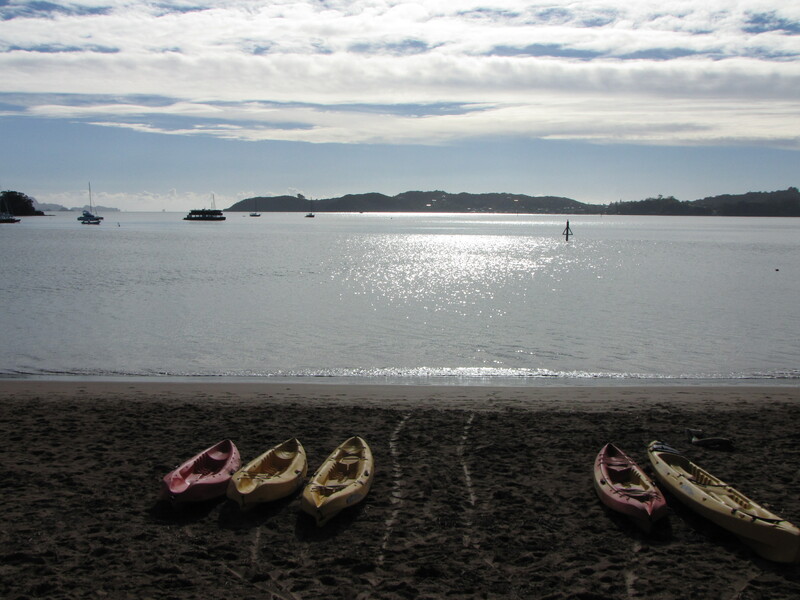 When we arrived in Paihia at 10:30pm on Thursday evening we went straight to our backpackers Base X Pipi Patch. Marjie, Grant, Leo, Amanda and Joe had already checked in and it was great to see some friendly faces. I went to bed pretty soon after because we had a very big activity planed the next morning. 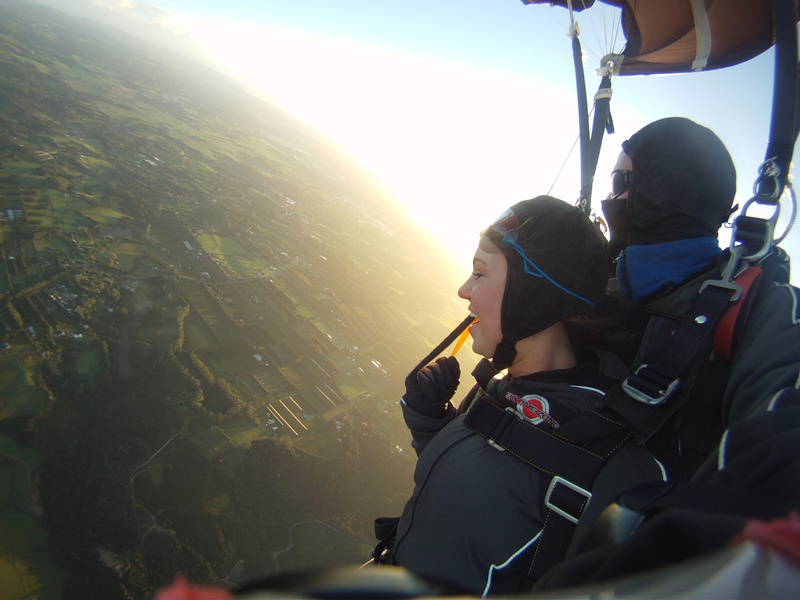 Up and out early Saturday morning we headed to Kerikeri to Skydive Zone! 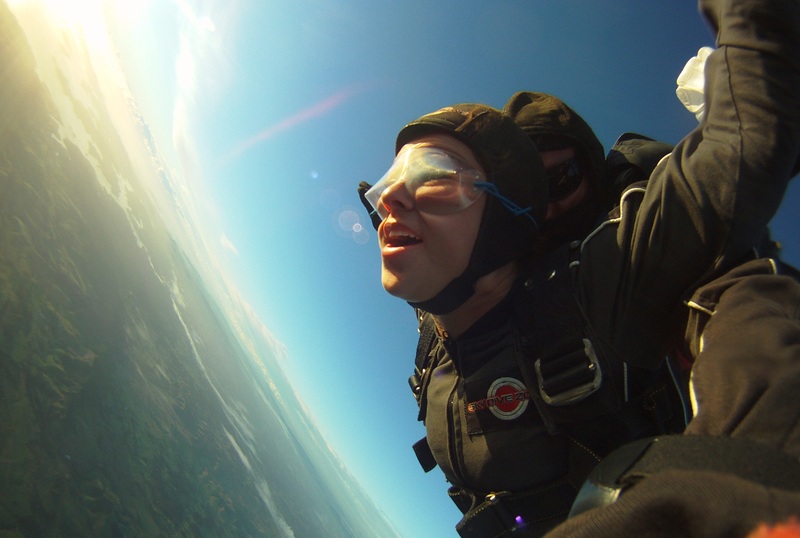 Yes, the main purpose of this trip was to go skydiving. But before you get nervous, just finish reading this post. 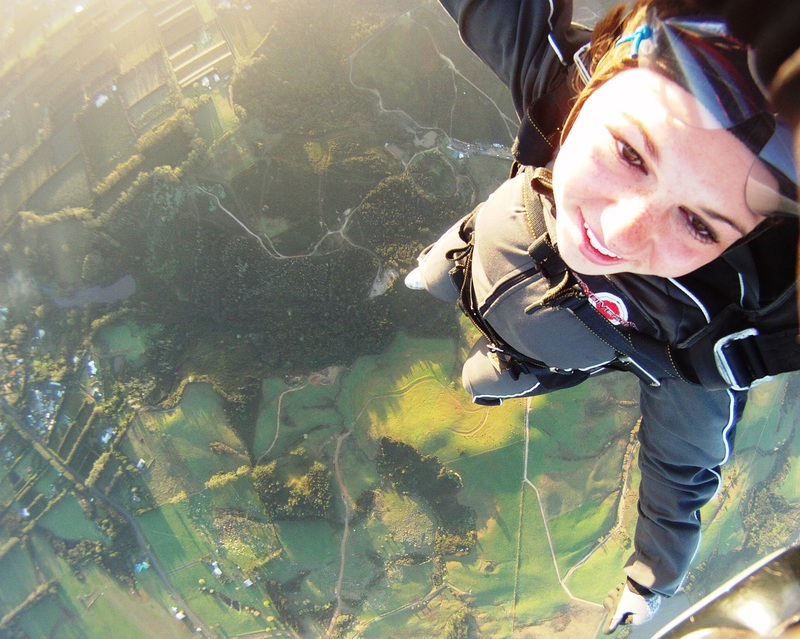 When we arrived at Skydive Zone at 10:15am Amanda was already finished with her jump and could not stop bragging about how great it was. Marjie was all suited up and ready to go. 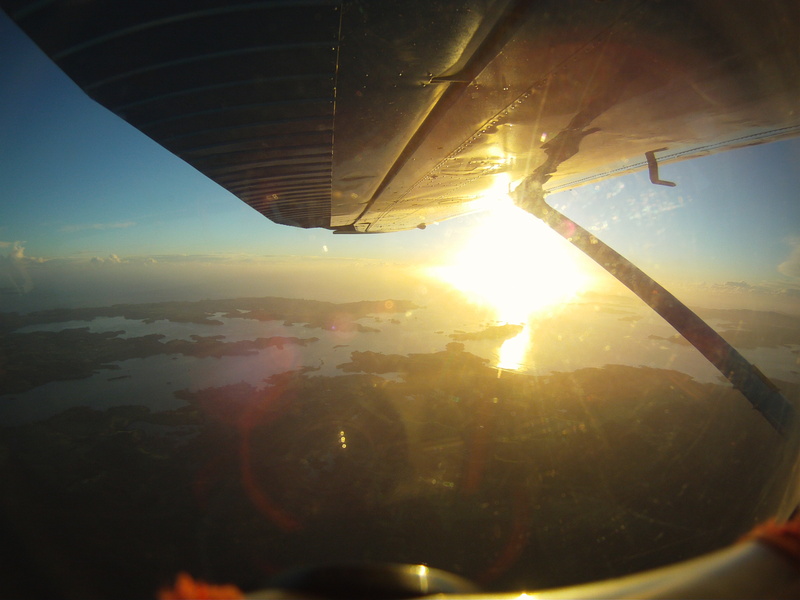 We had just finished filling out our paperwork when one of the pilots came in to call it for the day. Even though it was a warm day with clear skies and big round clouds their technology showed a storm front coming through and they would not be sending any more planes up for the day. We were all pretty bummed that we wouldn’t be able to jump so we rescheduled for 7am tomorrow morning. Before we left they told us to give them a call at 7pm so they can tell us how the weather was looking for our sunrise skydive. At a loss of what to do because we had nothing else planned, we took a quick stop to see Haruru Falls which was on the way back to Paihia. 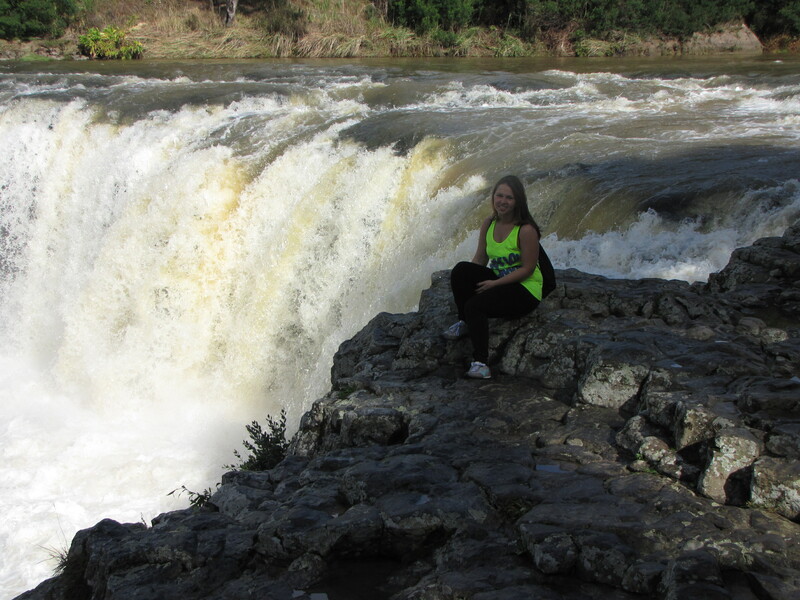 Not to sound like a snob, but Haruru Falls was by far the ugliest waterfall in all of New Zealand. The water was dirty and it was a very disappointing from all of the amazing falls we have seen already. After about 5 minutes we loaded back into our car and went for brunch in Paihia. After brunch we walked around the town and did some window shopping. Luckily for us we were visiting the Bay of Islands during Country Fest so the streets were buzzing with singers, and everyone was in their cowboy hats and boots; sadly we missed the memo. Soon enough the rain started coming down and we ran for our car. Bay of Islands is a very popular spot for fishing, sailing and all other water actives so we were a little at a loss for what to do. We decided to just go back to our backpackers and hang in for the day to get some studying done. At 6:30pm Tony and Pat called us to meet up for dinner. We decided to go to Shippies for dinner. 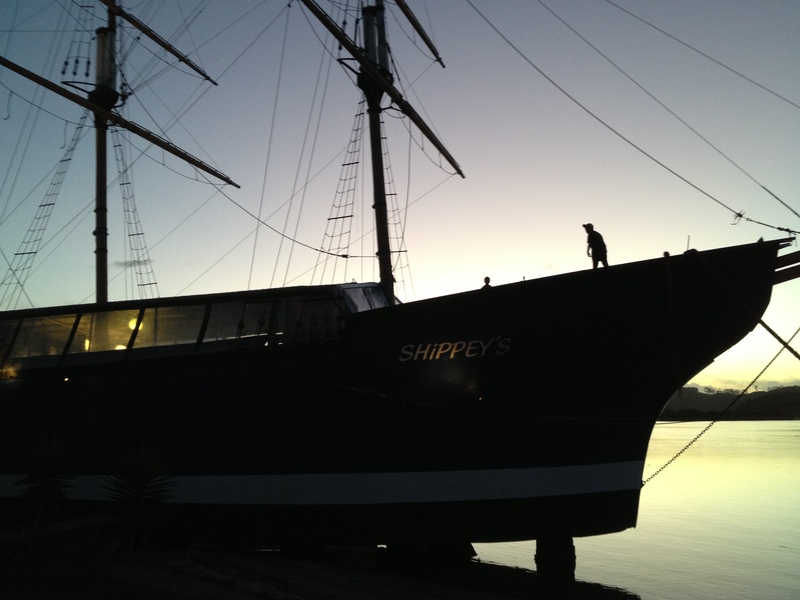 Shippies is a dry docked boat in Paihia that acts as a full service restaurant, you can even bring your catch in and they will cook it for you! The interior of the boat was very unique and it was awesome having the chance to eat my fish burger aboard the boat! 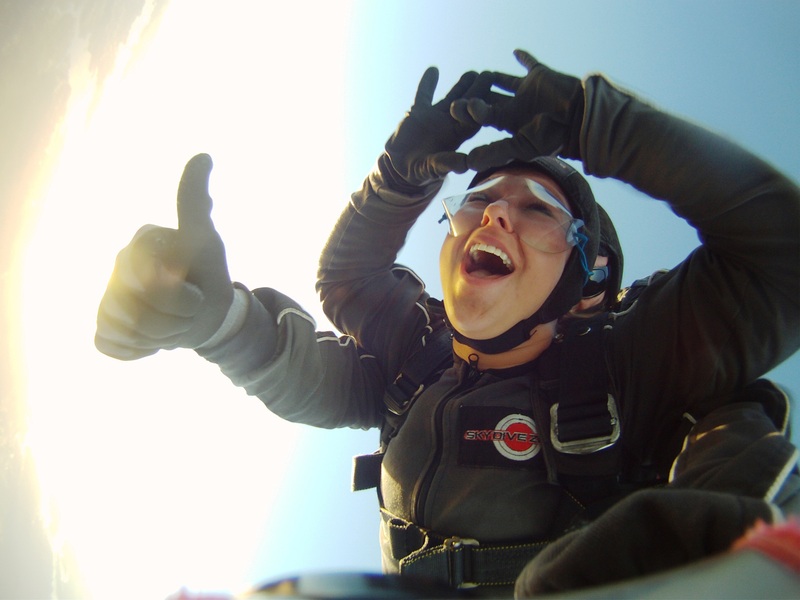 During dinner we called Skydive Zone to check on the weather for tomorrow and we were given the a-ok! We were all very excited and after dinner we went back to Pipi Patch to hang out. 5:30am rolled around really soon and we were all scrambling to pack up our belongings, without waking up the other people in our room, and hit the road! At 6:05 we were on our way. 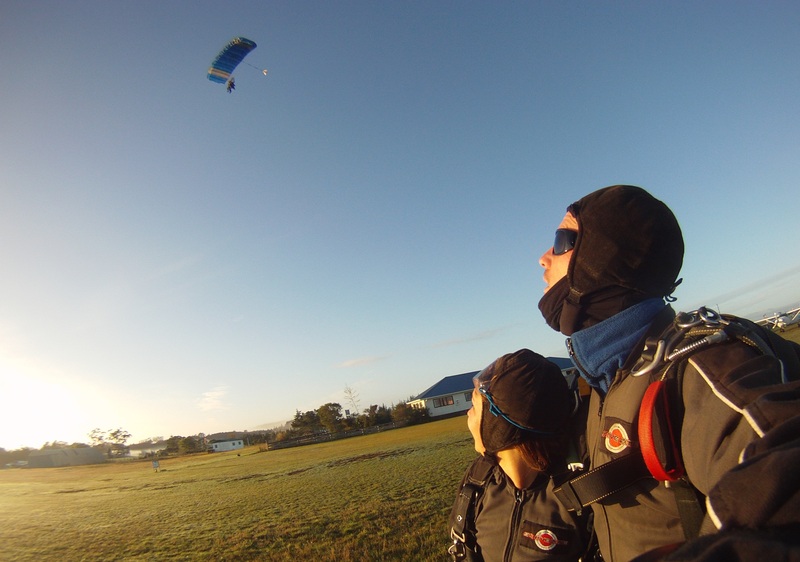 We arrived at Skydive Zone at 6:30 and we waited, as the sun slowly began to rise, for someone to come. At 7am the doors opened and in no time we were suited up. After a safety talk, a little bit of panicking and a lot of nervous laughter, we were forced to board the plane. 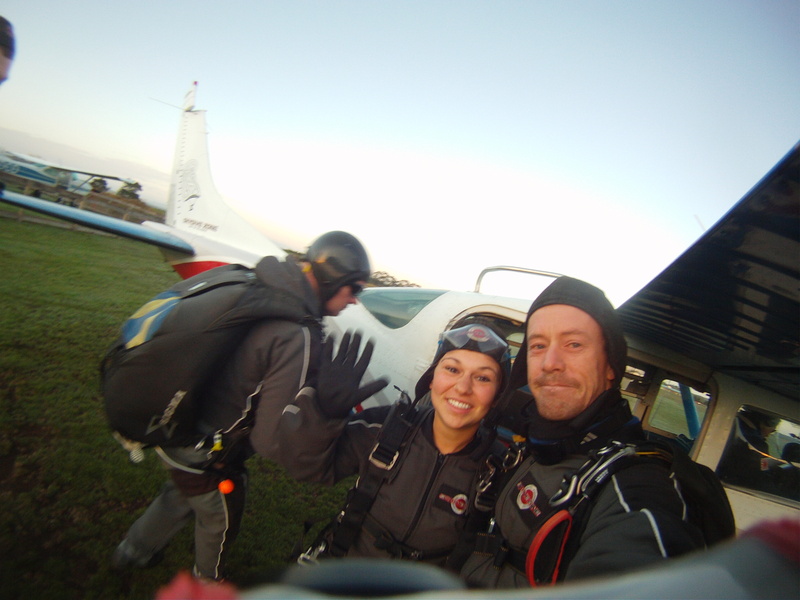 In all honesty, I have absolutely no idea how long the flight up was but it was very cold! My toes were completely numb and my nerves were making my body shake. 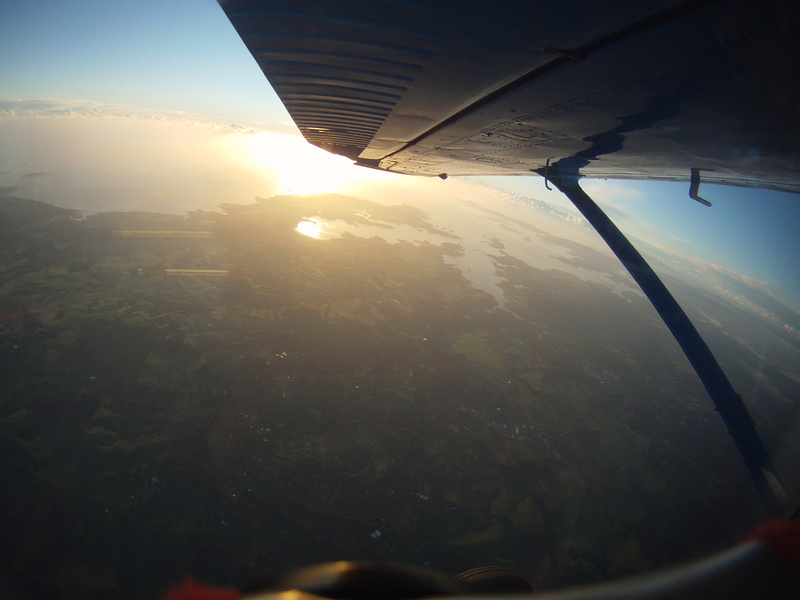 Looking out the window was absolutely beautiful as the sun was illuminated the green land and large blue waters. I was getting very nervous and kept asking Brent, the man I was jumping with, the same questions over and over so to shush me he put an oxygen mask over my mouth. 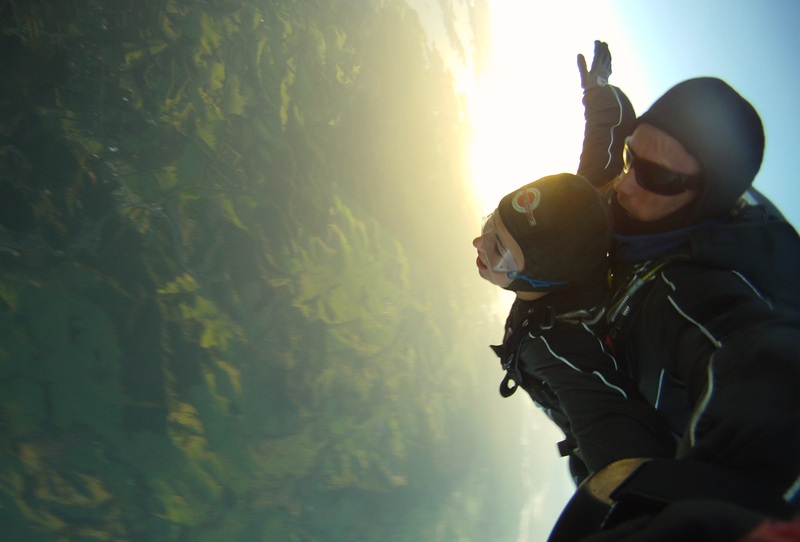 He then calmed me down by telling me that he has been on over 7,000 skydives, then I knew I was in good hands. 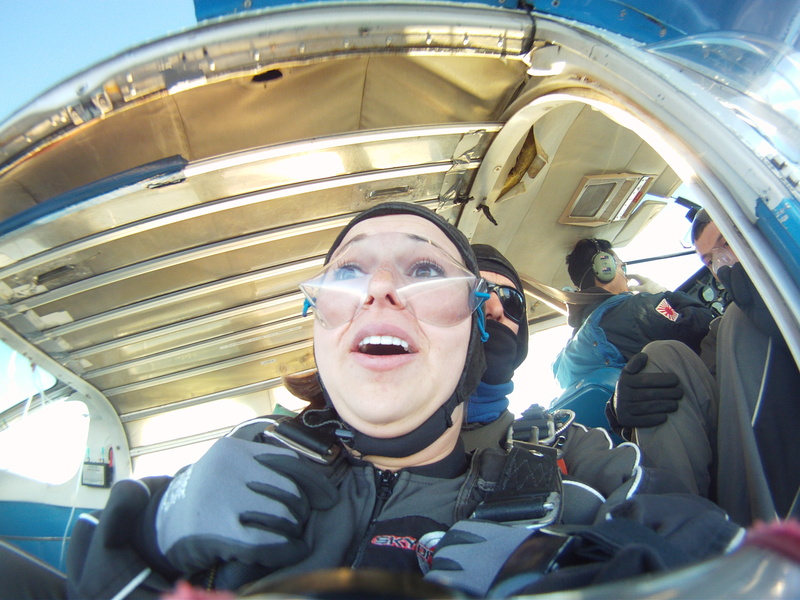 We finally reached 12,000 feet and Lyssa was the first to go. Brent told me that I did not have to do any work just keep my arms in and head back. As soon as Lyssa flew out it was my turn. Brent started inching us towards the door and slightly out of resistance I did absolutely nothing to help move my body to make it any easier for him; that did not stop him. We were sitting at the edge of the open door when complete panic overtook me. As you can see from this dashing photo, I was extremely nervous. 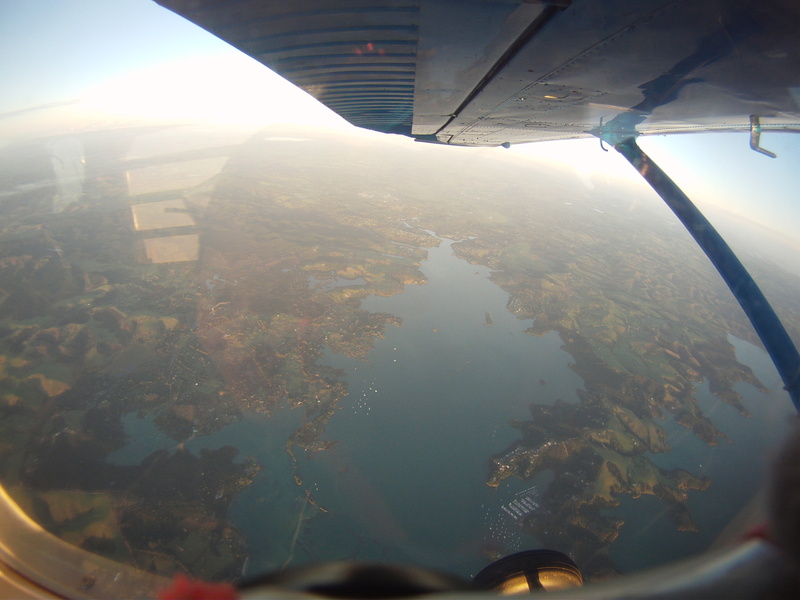 Sadly we did not get to glide for too long before coming down for landing. 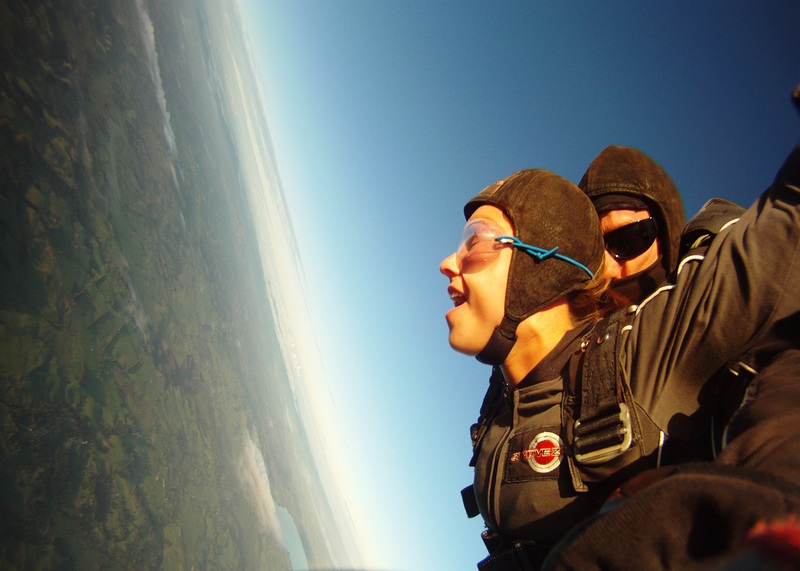 Skydiving was the best three minutes of my life and I am so lucky I got to do it in New Zealand. But now I promise, my two feet will not leave the floor anymore! After our incredible morning skydiving we grabbed a bite to eat and made our way back to Auckland. 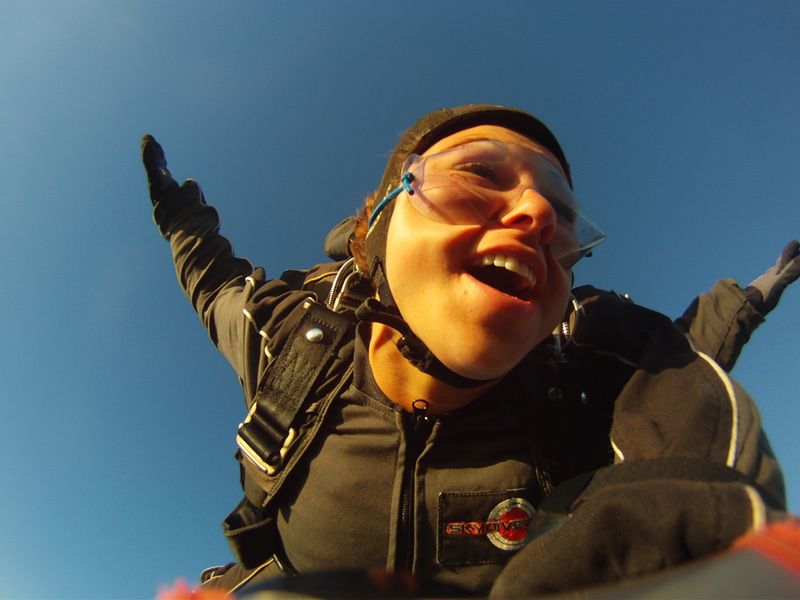 Warning: Feel free to watch my Skydiving video at your own risk!